The National Grange today lauded President Obama’s decision to sign an Executive Order that will make broadband expansion up to 90 percent cheaper and faster for those along federal lands and roadways. The White House will also announce the formation of a new public/private partnership known as “US Ignite.” The new alliance will consist of nearly 100 partners, including major cities, corporations, and non-profit groups, joining forces with over 60 universities to develop new networks that run up to 100 times faster than modern Internet services. The President’s Executive Order will require the Departments of Agriculture, Commerce, Defense, Interior, Transportation, Veterans Affairs, and the US Postal Service to offer carriers, both large and small, an easier approach to leasing federal assets to expand their broadband infrastructure and services. The US Ignite Partnership will create a nation-wide network of communities and campuses with incredibly fast and programmable broadband services, with speeds of up to 1 gigabit per second. The networks created by this partnership will be used as tests for building the next generation of broadband networks. Established in 1867, The National Grange, a nonpartisan, nonprofit fraternal organization, is the oldest agricultural and rural community service organization. With more than 2,100 local chapters, the Grange has evolved into the nation’s leading rural advocacy organization and a major benefactor to local communities. There are more than 160,000 members across the United States. 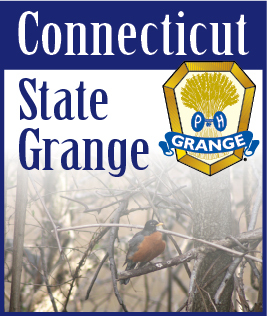 For more information on the National Grange, visit our website at www.nationalgrange.org.